Greetings again from the darkness. 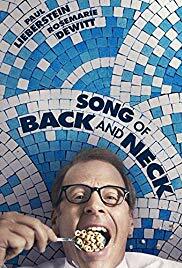 This is one of those true stories that probably works better as a drama than as a documentary. Jeremy Renner brings passion and believability to his role as infamous journalist Gary Webb. This allows us to gain insight into Mr. Webb as a father, husband and man, rather than only as a fiery investigative reporter. You likely recall Webb’s published story (San Jose Mercury News) from 1996, when his research uncovered the likelihood that cocaine imported into the US was sold as crack cocaine and the profits had funded arms for the Contra rebels in Nicaragua in the prior decade. The kicker being that the CIA was well aware of these activities. The film presents Webb as an idealist, too naive to comprehend that the story would have ramifications to his employer, his family and his self. The use of actual news footage adds a dose of reality, as does the inclusion of Ronald Reagan, Oliver North, John Kerry … and even the role Bill Clinton and Monica Lewinsky played in outshining the ultimate redemption of Webb’s work. The underlying message here … beyond the governmental cover-up … is the lack of a truly free press. Of course, the issue remains front and center today, but in this particular instance, it’s surprising to see the influence and pressure applied by outside forces. It’s further proof that any hope for checks and balances from our news outlets was snuffed out many years ago. 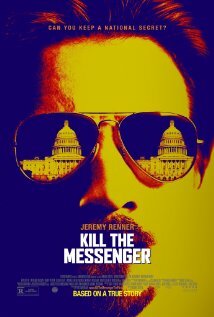 The movie is based on two books: Gary Webb’s own “Dark Alliance” and Nick Shou’s “Kill the Messenger”. The frustration as a viewer is derived from the fragmented presentation brought on by steady stream of new characters who mostly appear in only one or maybe two scenes. The list of known actors is impressive: Rosemary DeWitt, Oliver Platt, Robert Patrick, Tim Blake Nelson, Michael Sheen, Mary Elizabeth Winstead, Paz Vega, Barry Pepper, Michael Kenneth Williams, Andy Garcia, Gil Bellows, Lucas Hedges, Richard Schiff, and Ray Liotta. That should help explain what I mean by fragmented. The story is an important one and the film is worth seeing. Director Michael Cuesta’s approach makes it impossible to not think of All the President’s Men while watching. The Granddaddy of crusading journalism continues to produce heirs … those that are a black eye for the newspaper industry and our government.